Box turtles are lovely creatures and they can be good pets, but you need to think long and hard before you bring one home. While juvenile box turtles usually adjust to an indoor terrarium, most experts agree that the best housing for adults is outdoors. Unless you have the facilities to build a good sized outdoor pen for your box turtle, where it can spend at least a good part of the year, you should think twice before getting a box turtle. If the turtle will be kept indoors, you will have to consider building a custom enclosure or invest in a very large terrarium. 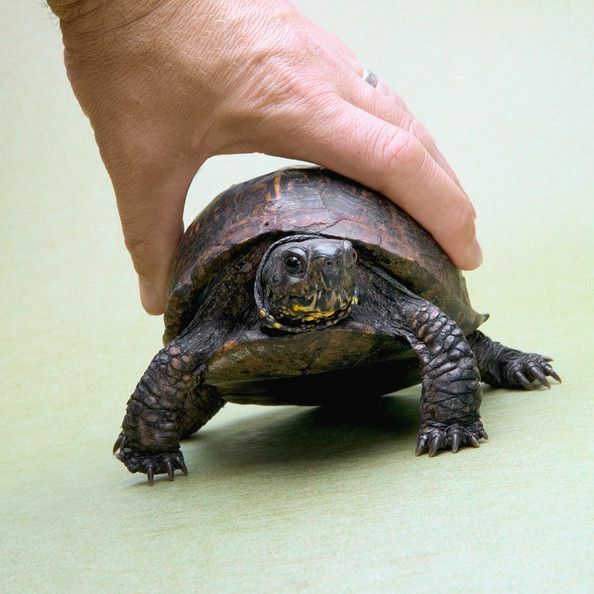 Box turtles are not easy to care for or low maintenance pets. If you are able keep them healthy, they can be with you a long time and you might have to make provisions for someone to care for them if something happens to you. Unfortunately, many box turtles that find their way into the pet trade end up dying young due to the misunderstanding of the care they require. It is also important to realize that, in most states, it is illegal to take a box turtle from the wild and keep it in captivity. Populations are dwindling, so they are protected in most areas. In addition, wild caught box turtles are more likely to become severely stressed by captive conditions and do not make great pets. If you decide a box turtle is right for you, please make the effort to find a captive bred box turtle. There are several different species of box turtles you might find in the pet trade. Most of them are fairly similar in their care, but there are some important differences. Before you take home a box turtle, be sure you know what your specific species will need. Be sure to provide appropriate lighting, humidity, food, and substrate to your box turtle of choice. Veterinary care may also be necessary if your turtle gets sick or injured. Refer to the appropriate care sheets for your turtle.